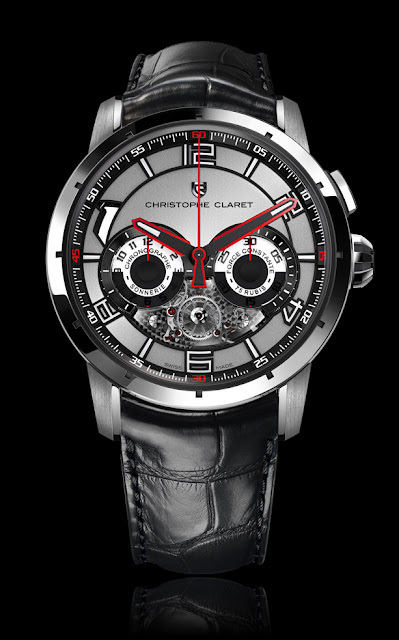 The name of the French watchmaker Christophe Claret is often associated to complication movements. 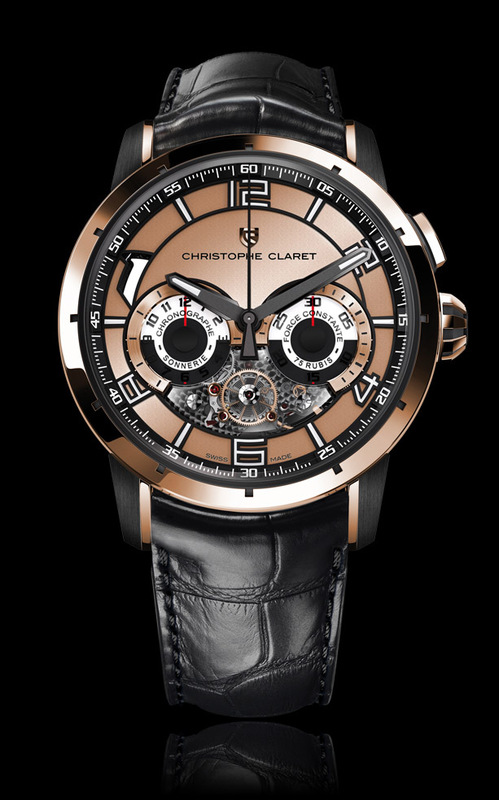 For years famous watch brands such as Ulysse Nardin, Franck Muller, de Grisogono, Jean Dunand and Harry Winston, turned to Christophe Claret for developing their most complex timepieces. Today the brand founded by Christophe Claret belongs to the exclusive circle of independent watch manufacturers capable of mastering the entire production process of Haute Horlogerie watches – from the original idea through to final adjustments. 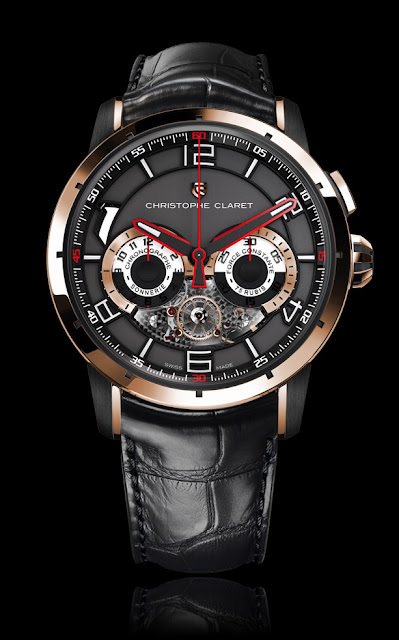 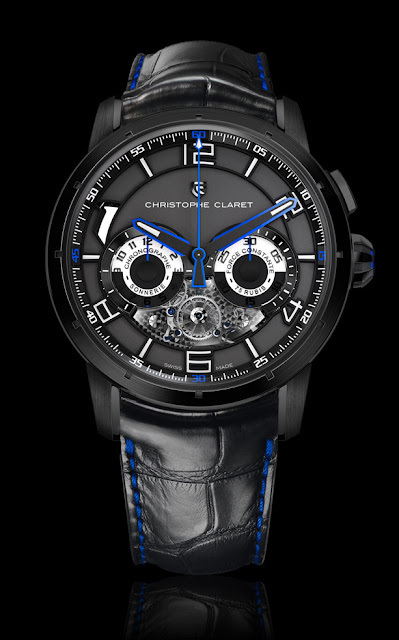 At BaselWorld 2013 Christophe Claret will officially unveil the new Kantharos, a mono-pusher automatic chronograph with striking mechanism and constant force escapement. A cathedral gong, visible at 10 o’clock, audibly chimes with each change of function (start, stop, reset). The Kantharos is also equipped with a constant-force escapement visible on the dial side at 6 o’clock. 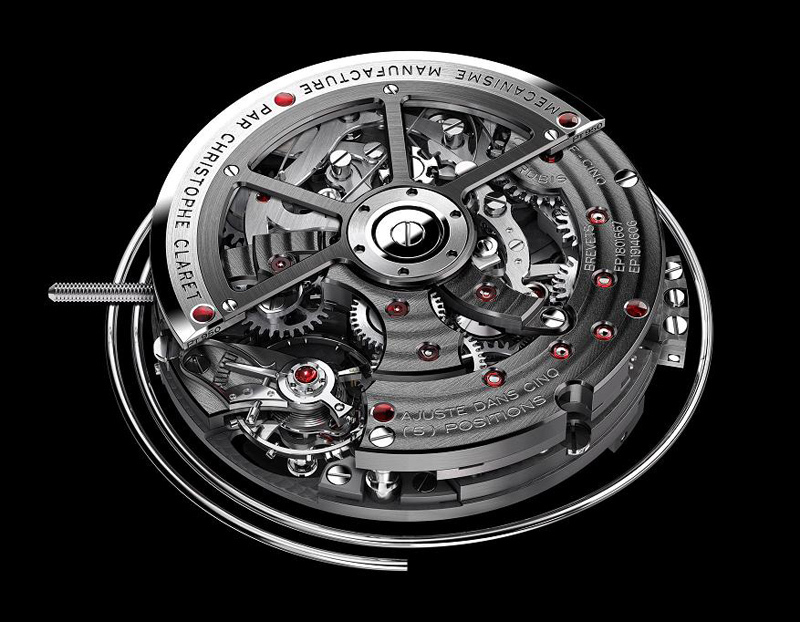 The energy delivered to the escapement remains constant from beginning to end of the power reserve to reduce timing variations. 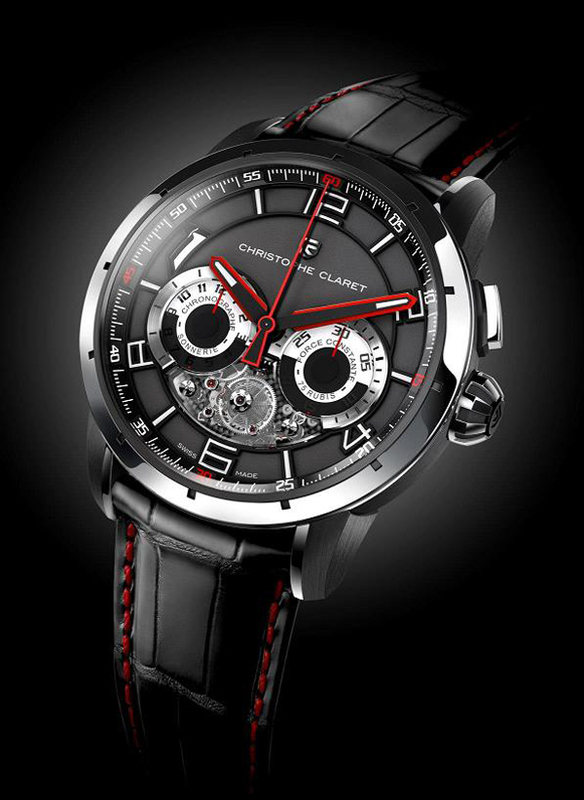 The diameter of the case is 45 mm while height is 15.83 mm. Water resistant to 30 mt. 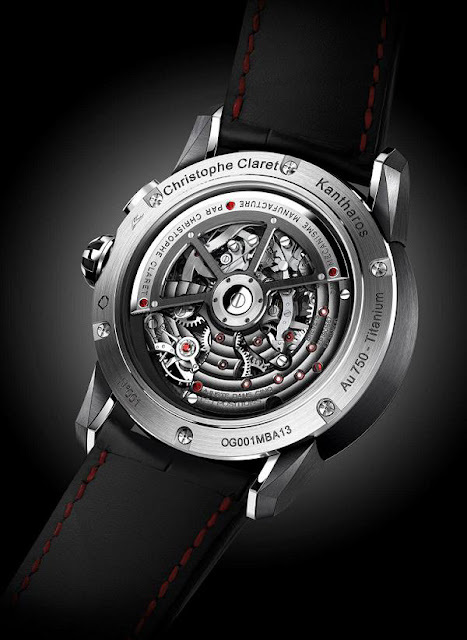 The Kantharos is available in five combinations of dials and case materials as described below.